ClickUp makes it easy to communicate, set deadlines, share expectations, and notify your clients as progress is made. Since Projects, Lists and tasks can be made private, it's easy to share information with your clients at these levels while still ensuring they only see what they should. Try creating a private Project for each client and adding Lists for each service you'll offer. You can also invite clients as guests to read, comment on, or edit specific items. When you're starting with a new client, you'll typically require a similar set of action items. Rather than recreating those Projects, Lists, and Tasks, simply save them as templates! You can save templates on the Space, Project, List, task, and checklist levels. Need help getting started? We have tons of public templates that you can add directly to your Team. ClickUp's custom statuses will allow you to keep your client updated on the progress of your work. They'll know what's going on because they can simply view the status at any time! Assign Comments to get approval from your client. Assigned Comments allow you to make comments actionable. However, when working with clients, they're even better for approval! Assign a comment to your client to make sure they approve of what you're about to do with the task at hand. He or she can either resolve the comment to let you know to proceed, or reply with an update! This is all done through our email task creation feature, but we also have a great extension! With our Chrome Extension, you can create tasks via email directly from a Gmail or Outlook account. 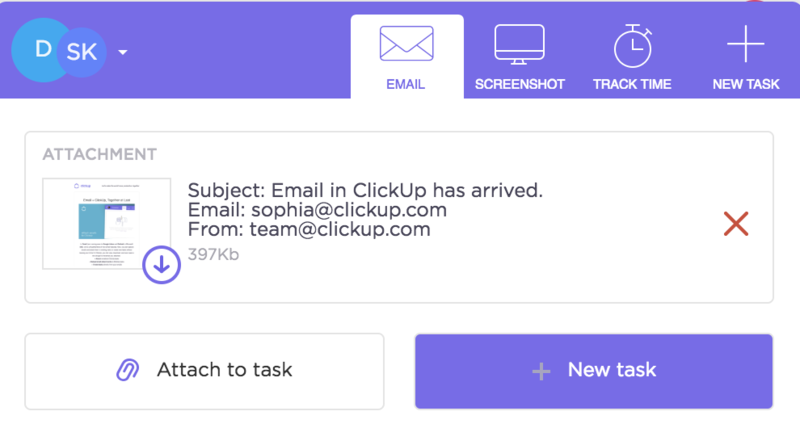 You can also attach emails to pre-existing tasks in ClickUp! This is the perfect way to improve your communication with clients and adjust your workflows based on their feedback. With our Custom Fields feature, you can create unique task IDs to track a budget, organize client contact information, or pretty much anything else you can imagine. For tips on getting started with ClickUp as a CRM, check out this doc!